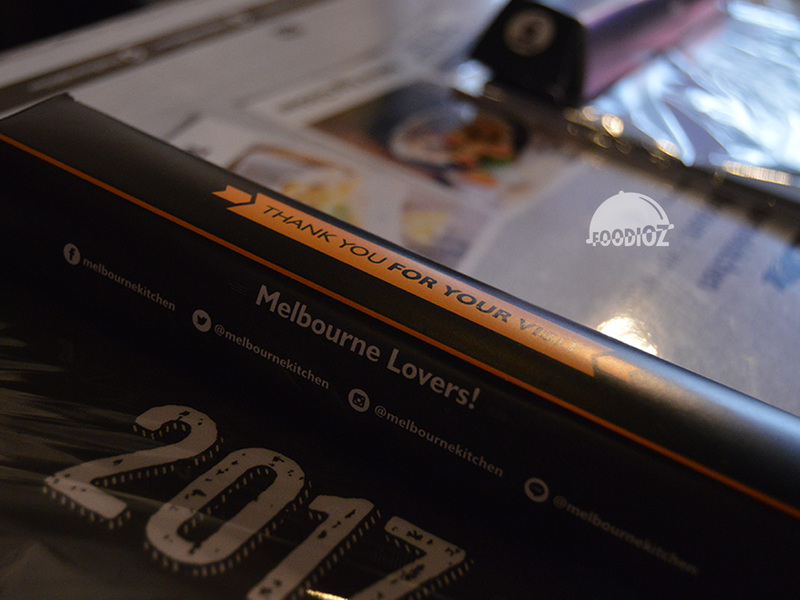 As we know, Melbourne is city with multicultural people and heritage. Including the food variant as well. 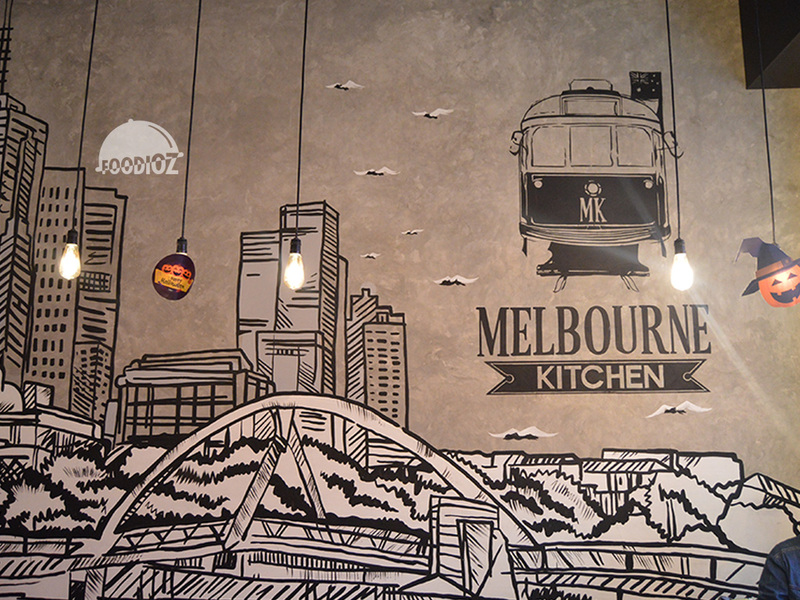 Melbourne Kithcen here is represented the various of best dishes that you may found in that City. 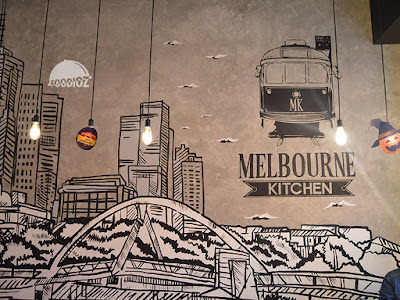 With modern concept and various fusion cuisines sure interesting. Without took for a long time, we start our dining here by many kind of starters. 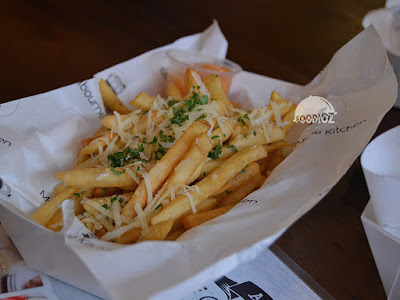 Various of fries with different topping and garnish. There's Truffle Fries, OMG Fries, Sweet Sauce, or even an Ice Cream. I am not going to mention all dish i had, only some of my favorite cuisines you should try. My favorite starter should be the Truffle Fries. 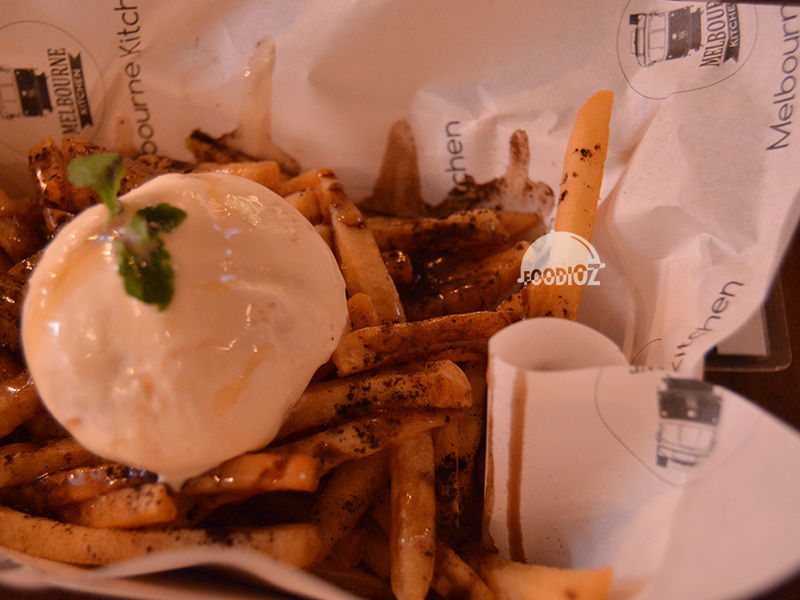 A deep french fries with really strong truffle on it, believe me it is really tasty. Then we also have the Popcorn Chicken. I can tell this one is such a perfect meal for snacking. 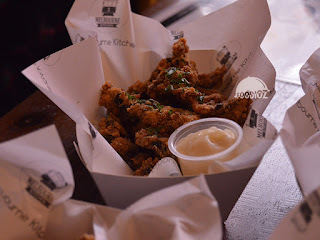 Crunchy chicken popcorn with such a savory seasoning. I am sure one bite shouldn't be enough. After various of starter, we also offered by many kind of main course. 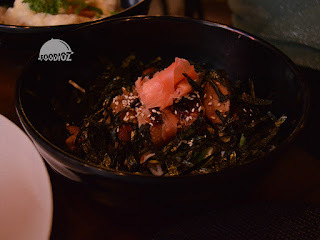 As we know they do come along with fusion restaurant, so we may found many type of dishes with different ingredients and fusion style of cooking. My favorite here should be the Sambal Matah Crispy Chicken. The spicy Sambal Matah (typical Manadonese chili poured on crispy chicken and served on white rice. 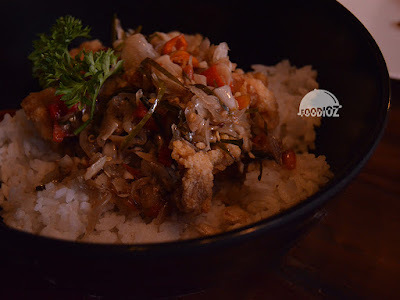 I am sure love it, a crispy chicken with really tasty chili such a suitable taste for our Indonesian tongue and of course it is spicy! Then i have the Chicken Teriyaki, this one is not on my favorite list, but i may say it is fine. It is common chicken with teriyaki sauce, only it poured by alot of seaweed on top. Teriyaki not strong enough, more to plain taste i found in it. Move to next dish is Simply Thai Beef. Actually i had this at Bandung Outlet, and as i remember this one is good though also in here too. Beef slices served along with sauteed broccoli and white rice. Beef has really good seasoning, only if it has softer texture and tender would be much better. 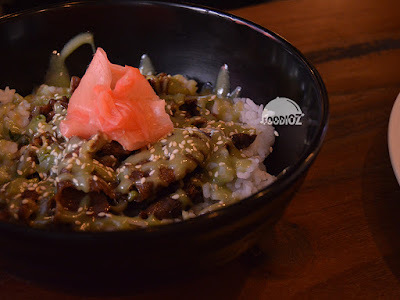 Still about beef, i have the Gyudon Wasabi. The grilled ox tongue poured by wasabi sauce. I must say this is interesting, a nice green wasabi color sure give a beautiful touch on it. Wasabi has been the main star in this, strong taste of it sure pull up the sense of eating. But sadly, same case here, beef could be more tender to be better. 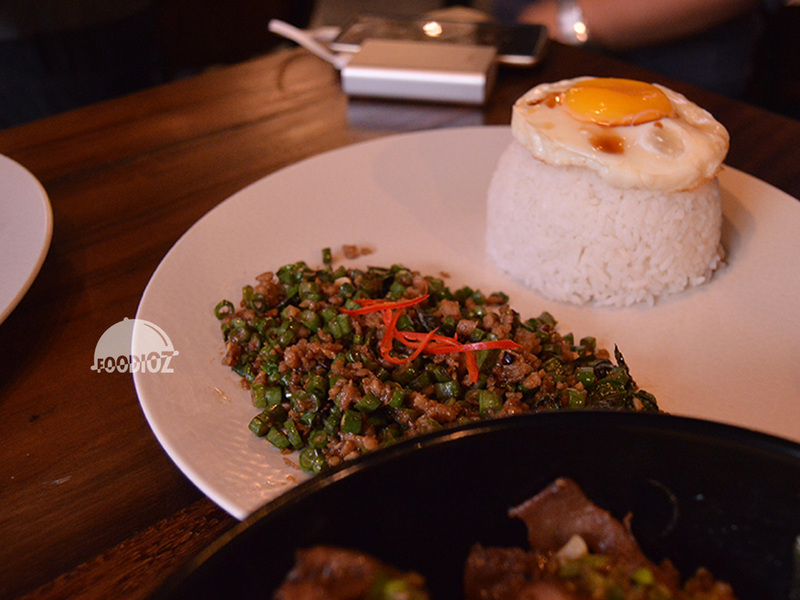 Another favorite i do like is Pud Grapow Beef. 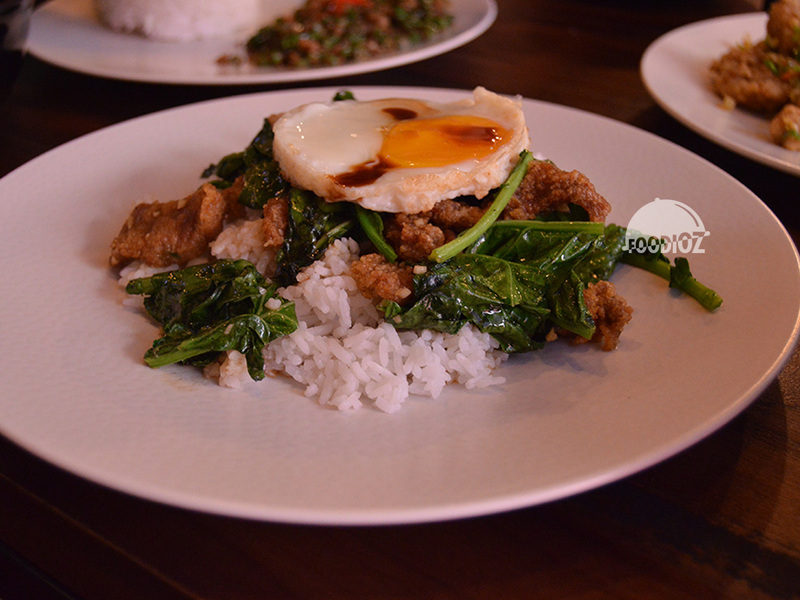 The Thai style dish, minced beef served with garlic and handful of fragrant basil leaves. It is quite good, all sure has been tasty on plate and mixed well together. And last my favorite here is the Namban Chicken. The crispy chicken covered up by the tar tar sauce. I do love this one, sauce has thick white color and it absolutely sour tasty. Actually there are still many other fusion cuisines here like Deep Fried Spicy Dory, King Of Egg Chiffon, Salted Egg Crispy Chicken, etc. 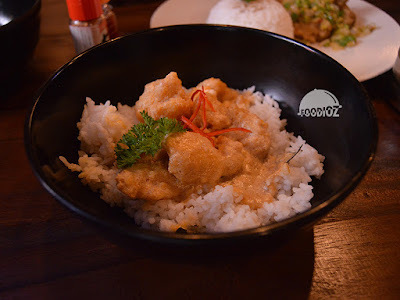 Overall i can say they do served good fusion cuisines with many choices of the ingredients, and seasoning. After all those main course, we also had some of desserts. Just like one is Smoothies Bowl. Not a fascinating presentation compare the smoothies bowl i have seen before. 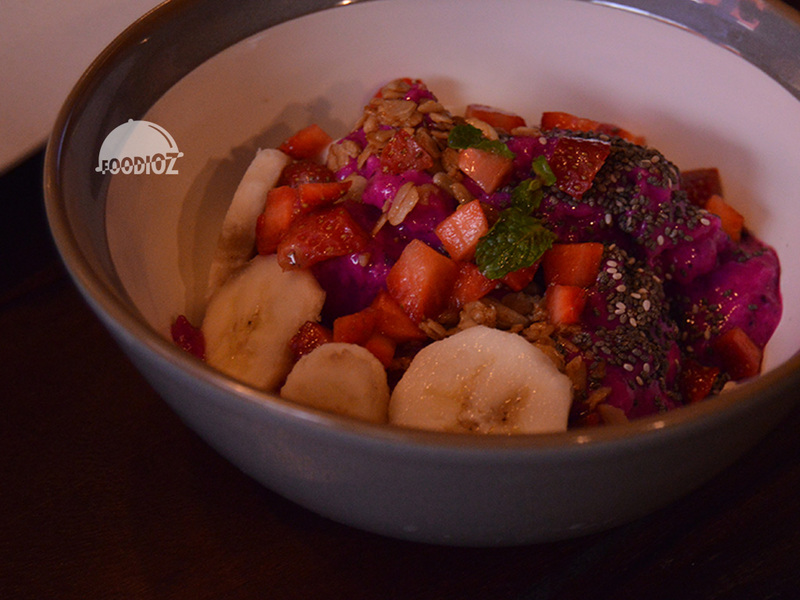 But it is quite good, fresh dragon fruits flavor sure up here and mixed well with various of fruits slices. I do prefer another dessert here is Coconut Chia Pudding. 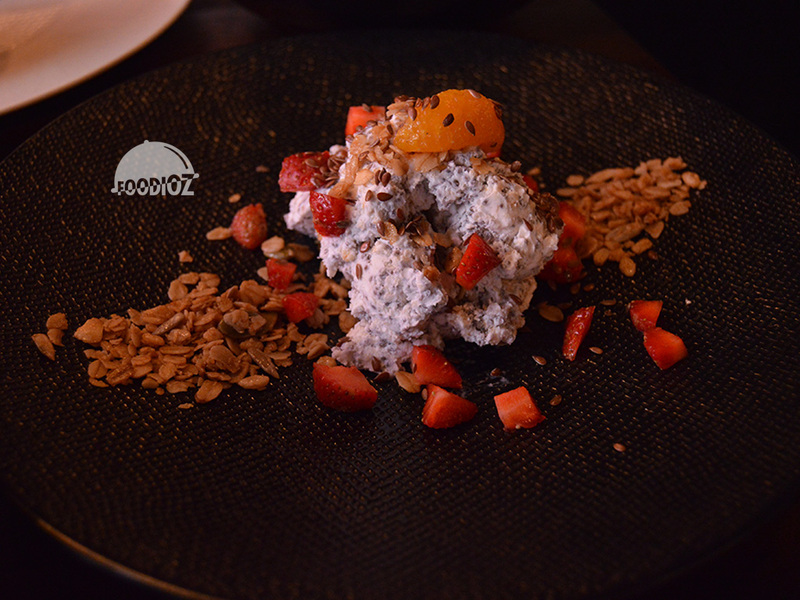 Round scoop of chia seeds pudding served along with strawberry slices. It has firm and rough texture, but i assure it is milky and rich. Such a delightful dessert to enjoy. I can say my dining experience here sure is awesome. Overall, they do served a great fusion foods with delicate seasoning. Only some point, i think they could do better like the beef texture or teriyaki sauce. For the rest, i think they doing good. About the price, i may say it is going to be expensive to spend for some people. But just you know, most of restaurant spotted at this place are open up for middle up market seems so. Once a time, i think it should be fine for you to have special dining or even casual too. Since they do serve the quality and perfect ambiance for people to enjoy.